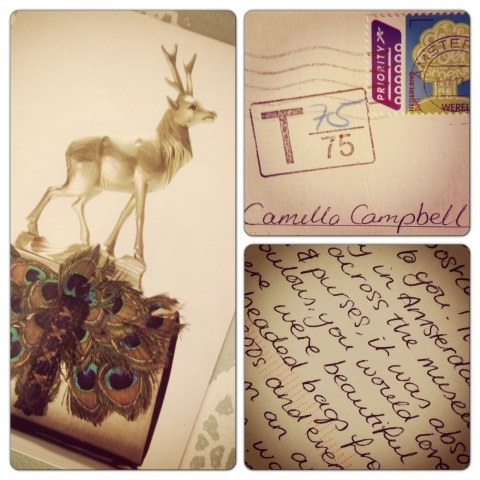 This week I received a postcard from a friend who is travelling in Europe. It was lovely to get one in the post and reminded me of two things 1. I love getting postcards 2. 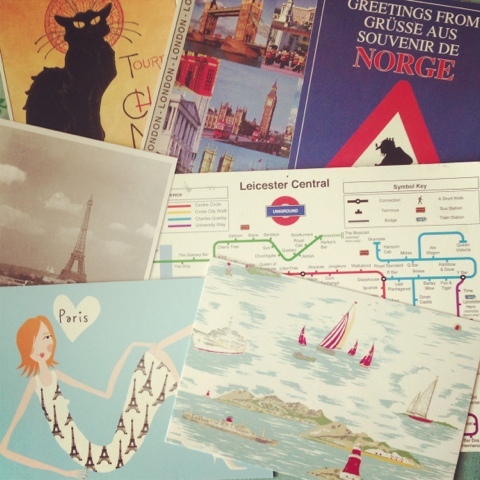 No-one really does postcards anymore! When I was younger I used to collect postcards, my dad would travel lots when I was growing up but he would send postcards or sometimes take them back for me. Still to this day I always buy a couple of postcards if I go away somewhere. But today with everyone moving away from hand written communications to emails, texts and tweets the ritual of writing postcards when on holiday has died. Small collection of postcards just a sample! You can't stick a tweet to your wall and preserve the memories. We are becoming lazy and too reliant of digital communications - yes it's quick and easy but don't forget the smile you put on someone's face when they receive a handwritten postcard or letter. In today's world it actually means more than you think! !